But the key question on everyone’s mind at this point has to be: How can we watch the royal wedding if we’re one of the many admirers who can’t attend? Here’s everything you need to know about how to watch Prince Harry and Markle get hitched. Who is covering the wedding? The primary U.S. outlet covering the royal wedding (which means we get an all-access pass, so to speak) is Today. It was announced on April 11 that the primary Today team would be heading to the U.K. for the weekend of the royal wedding. Lead coanchors Savannah Guthrie and Hoda Kotb will reportedly do an exclusive live show on May 18, the day before the wedding, with familiar faces like Kathie Lee Gifford and Al Roker making appearances. Then, on the day of the wedding, Guthrie and Kotb will reportedly be watching and commenting on the wedding as it happens, starting about 30 minutes in. If Today tuning in 30 minutes late freaks you out, PBS is also reportedly covering the royal wedding — thank goodness for that! In addition to NBC and PBS providing coverage of the royal wedding, we’ve learned of two other key networks that will be covering the royal festivities: Fox News and CNN. According to a press release issued by Fox News, “Fox & Friends’ Ainsley Earhardt will co-host Fox & Friends Weekend live from Windsor, England,” beginning at 5 a.m. Eastern (or 2 a.m. Pacific, for those on the West Coast). Then, Earhardt will join up with anchors Shep Smith and Sandra Smith as they broadcast from outside St. George’s Chapel at Windsor Castle at 6 a.m. Eastern (3 a.m. Pacific, for the West Coasters). CNN anchors Anderson Cooper, Alisyn Camerota and Don Lemon will begin their live broadcast of the royal wedding at 4 a.m. Eastern (or 2 a.m. Pacific). Americans are in luck because we’ll be able to watch right on our televisions. Today‘s live coverage of the event will air on NBC. Deadline confirmed on April 11 that PBS will be airing the royal wedding in its entirety on May 19, with plenty of royals-themed programming airing in the week leading up to the event. YouTube is also livestreaming the wedding on the Royal Family’s official YouTube channel. 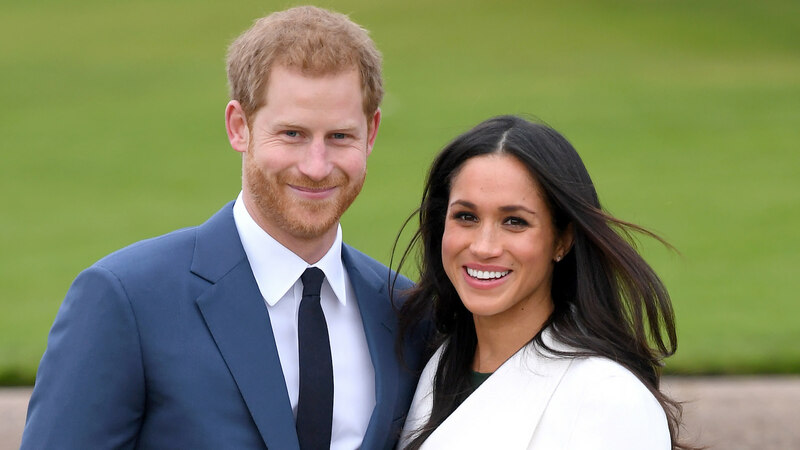 According to a press release, “The livestream will follow the wedding procession, marriage ceremony at Windsor Castle, and wedding day happenings along the way. Afterwards, the footage will be reshown so that people can enjoy this wonderful event no matter their location or time zone.” You can find all the details here. Blame time zones. To see the royal wedding here in the U.S., you may have to go to bed pretty early on Friday night. In the U.K., the event kicks off at noon on Saturday, so that’s 7 a.m. on the East Coast of the U.S. and 4 a.m. on the West Coast. You can always DVR it, of course, but why do that when you can watch it live and nap in the afternoon? And there you have it. All the key details about how to watch the royal wedding. Make space in your DVR now, and remember to set no less than a dozen alarms for the day because you do not want to miss a single second of this once-in-a-lifetime event. Is Prince Harry Signing a Prenup Before Marrying Meghan Markle?